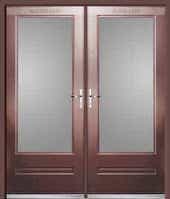 French doors that are made by Rockdoor are the most secure, thermally efficient and strongest external french doors you can get for your home. 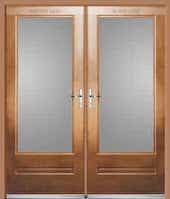 French doors by Rockdoor were the first to ever have a Secured By Design French door available on the market in the UK. 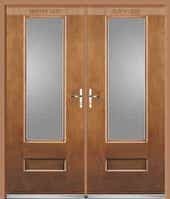 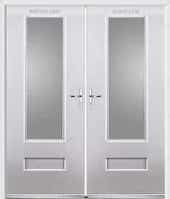 French Doors by Rockdoor come in two designs, Rockdoor Classic or Vogue. 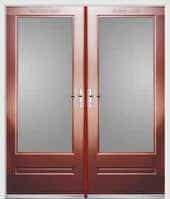 Classic Rockdoor French doors have a larger pane of glass in each door and the Rockdoor Vogue have slightly smaller glass. 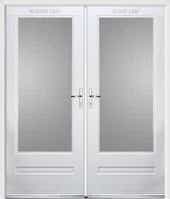 They come in 13 different colours with different handles and locking options. You can have the composite Rockdoors opening in or opening out. 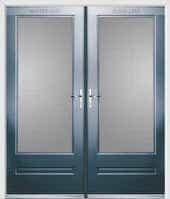 French doors have a Master door and a Slave door. 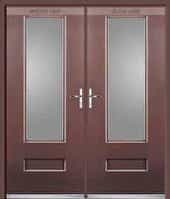 The master door is the one you would use the most so this door would generally be opened on it’s own. The other composite door that tends to remain closed for the majority of the time is the Slave door. 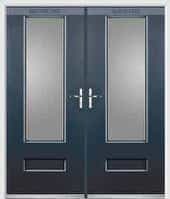 You can then open both doors for say a party or BBQ in summer, or for moving furniture in and out etc. 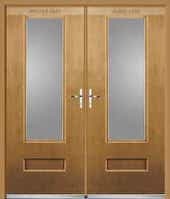 We hear more and more where the standard uPvc French doors are being targeted by intruders to gain access to properties but with a set of composite French doors made by Rockdoor you can rest assured that no intruder will be breaking in anytime soon as it has laminated glass as standard in the Classic, so the intruder wont be smashing his way in either. 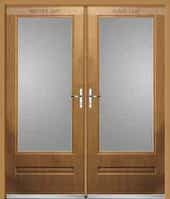 Sidelights are also available which can also be Laminated. Minimum width for the Rockdoor Vogue is 1500mm and the minimum width for the Rockdoor Classic is 1800mm.